Public Liability Insurance will react in circumstances where a third party (an individual person, or a corporate entity) brings legal action against you in respect of physical injury, or damage to property, caused by you in the course of your business. Public Liability is designed to defend your case and, if necessary, pay the damages owed. Employers Liability Insurance will react in circumstances where an employee seeks to bring a claim against you for personal injury or accidental death sustained as a result of their employment with you. Employers Liability will defend such a claim and pay the damages for which you are liable. Employers Liability Insurance is compulsory for any business that has one or more employees, whether they are permanent, part time, or temporary. Employers Liability is not a legal requirement if you are a ‘Ltd’ Company, you are the only employee and you own at least 50% of the issued share capital of the company. For sole traders, Employers Liability is not a legal requirement if your only employees are close family members such as a spouse or civil partner. The offshore working environment is highly specialised and, consequentially, many insurers choose to avoid offering cover to those providing services in such locations. Qdos has worked hard to understand the risks associated with offshore work and are able to offer Employers and Public Liability to a wide variety of self-employed workers (including those providing rope access services) at highly competitive rates. Learn more about offshore contractor insurance here. We offer Public and Employers Liability policies for a range of trades, including those working offshore in high risk roles such as rope access, at highly competitive premiums. Every policy includes a free IR35 contract assessment so you can ensure you start your contract on the right footing, and our online application takes only a matter of minutes with documentation issued instantly. 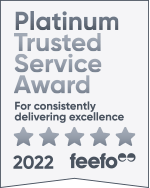 Unlike many other brokers, we don’t hide our premiums until you've provided your details, as we are confident that our premiums, service and product are the best in the market. Please note that Qdos Employers Liability Insurance cannot be purchased in isolation and is only available where Qdos Public Liability Insurance is purchased. *Public Liability Excess: GBP 1,000 Each and every occurrence in respect of loss of or damage to tangible property only costs inclusive arising out of the use of any oxy-acetylene or electric welding or cutting/grinding equipment or blow lamps or blow torches and/or arising out of the ownership possession or use of asphalt bitumen pitch or tar heaters.